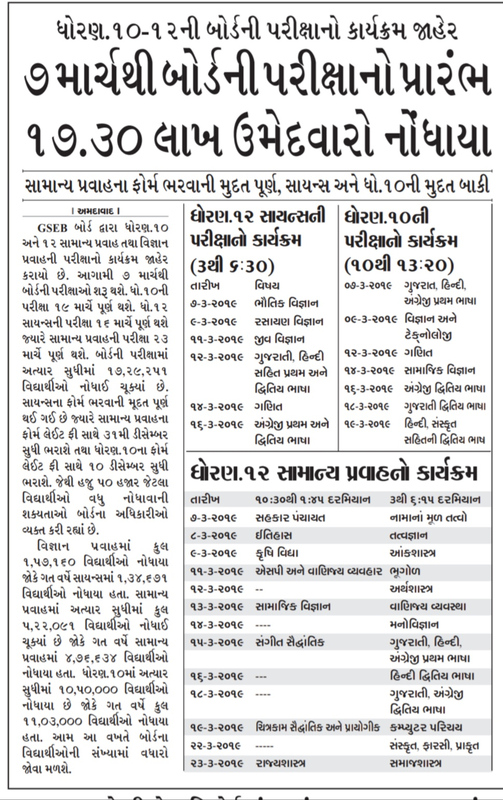 GSEB (GUJARAT SECONDARY & HIGHER SECONDARY EDUCATION BOARD ) has published Board SSC and HSC Exam Time Table March 2019. More details are given below. Thank You .. Keep Vist This Website For More Education Information..